The Apple Watch Series 1/2/3 has been the most top-selling watch on the world and has convinced many users since the sales launch in 2015. The Apple Watch sizes are 38 mm and 42 mm. Furthermore, the Apple Watch Series 3 improved the Smartwatch, because with LTE and GPS the clock is usable with the iPhone and thus has a higher added value than other Smartwatches. 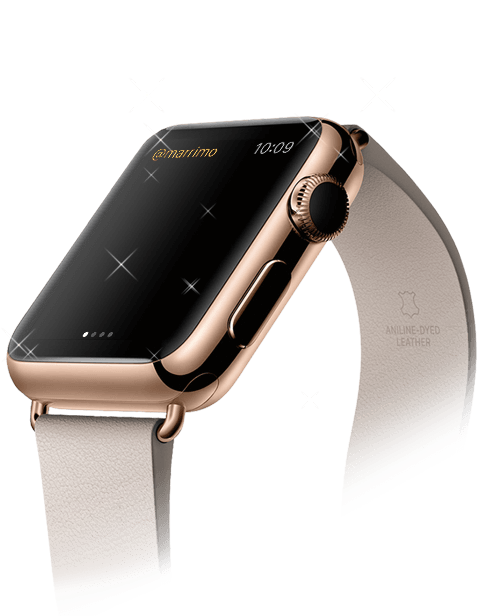 It is sure that you already think about the best screen protection before the purchase of a new Apple Watch. Especially with the modern watches as Apple Watch, you want to protect the screen in the best way. Furthermore, the price of such a screen repair is very high. 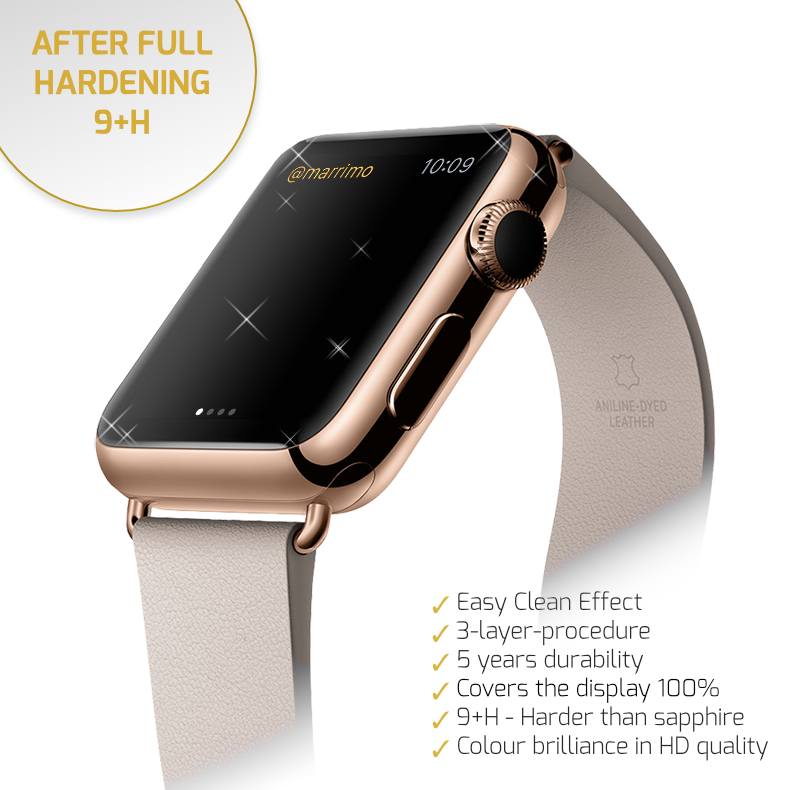 But how I can know, which is the best tempered for an Apple Watch, especially for me and my high demands? Our liquid screen protector test shows you the alternatives to the usual screen protector foils. The protective foil is made by real tempered glass and has just a thickness of 1,5 micrometer per glass layer. So, it has still an elegant and timeless Apple Watch Series design. The liquid real glass is affixed on the screen by a special 3-layer-Process – Liquid 2.0 is a real screen protector innovation. Our liquid Apple Watch Series screen protector offers you an optimal protection down to the finest detail. Due to the liquid form of tempered glass, the sensitive screen borders are perfectly protected. At the same time, the Liquid 2.0 is completely transparent to give you the best Apple Watch feeling, which is available on market. With the liquid tempered glass Liquid 2.0 annoying borders are a thing of the past now. Due to the special 3-Layer-Process, the product reaches a hardness grade of 9+H. With a hardness grade of 9+H and an intelligent protective foil design, crashes can be absorbed, so that the Apple Watch protective foil is actually damaged, but the Smartwatch has its usual elegance further on. Furthermore, you react cost-saving by means of the right screen protector and you increase the resale value due to a perfect screen. Due to the innovative Apple Watch tempered glass, you will not have stress with air bubbles or dust as with the usual protective foils. Furthermore, the brilliance and elegant design of your Smartphone remain untouched after the installation of the tempered glass. In contrast to other tempered glass protective foils, the Liquid 2.0 is waterproofed and thus capable to use under water. 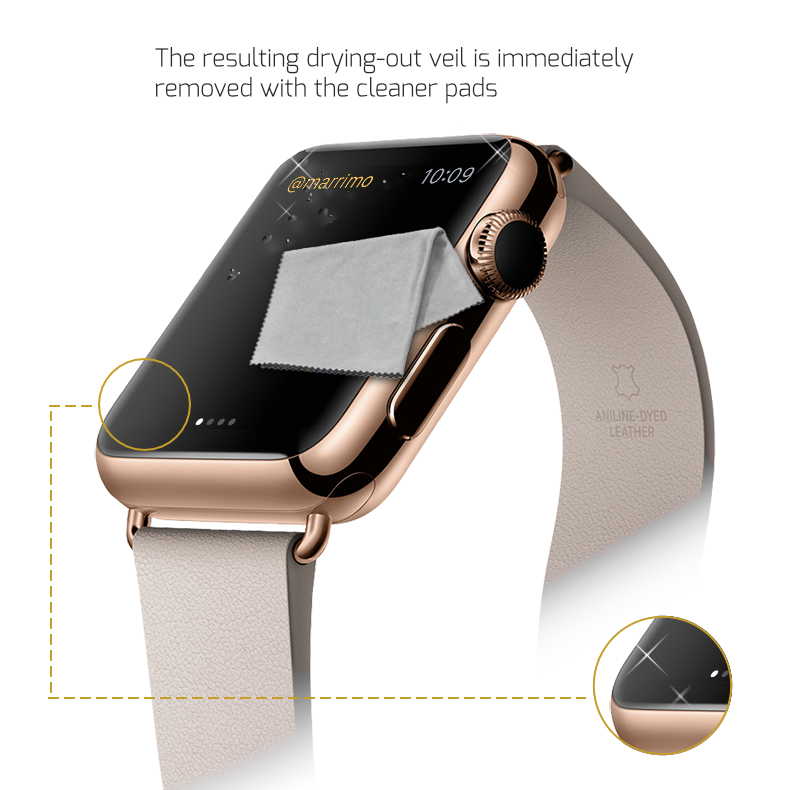 The product lasts longer than any other Apple Watch Series tempered glass protective foil. The Liquid 2.0 lasts longer than the usual protective foils with its durability of 5 years. Due to an impressive durability, you save just money as well as time. The perfect screen protector for your Apple Watch should not restrict your own style. Due to the slim Apple Watch Series protective foil, many cases are suitable. Whether fancy or attractive, whether elegant or simple – your Apple Watch Series case is compatible. When buying a tempered glass Apple Watch Series from GLAZ, you don’t buy just the usual screen protector. The liquid protective foils from GLAZ enclose a simple and pictured installation guide as well as an installation video in German and English. Furthermore, you can contact the GLAZ support team per mail, telephone or by means of our social media channels on Facebook, Twitter and YouTube. 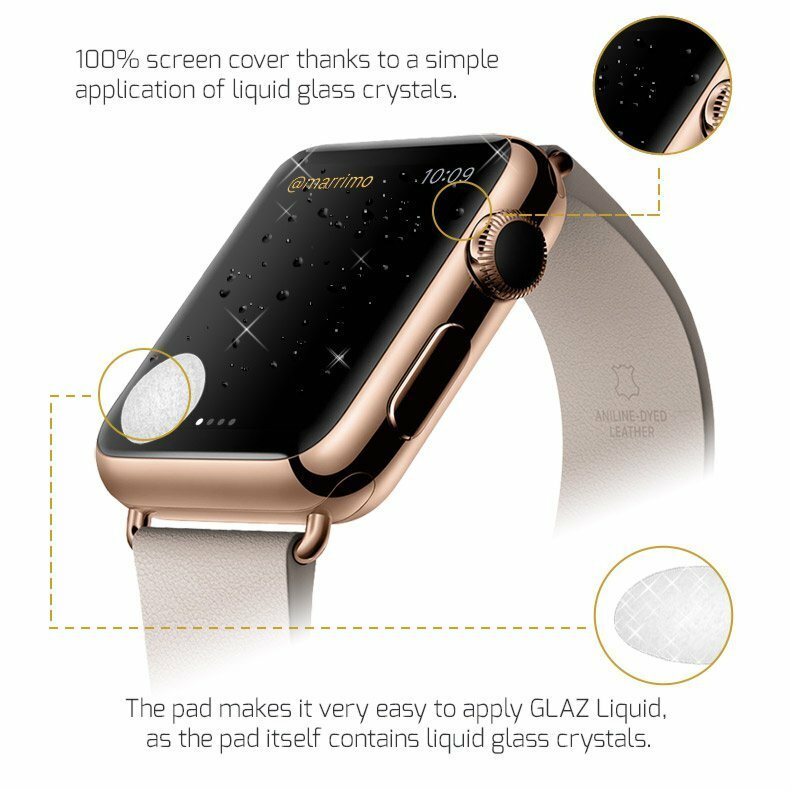 GLAZ Liquid 2.0 is a pure Apple Watch screen protector innovation. A liquid glass that reflects the lifestyle and perfection of the Apple Watch Series 1/2/3. Youtube Star TechFloyd takes the acid test with a Samsung Galaxy S9 and amazes over 200,000 YouTube fans.